There was once a poor Mexican girl named Pepita, who had no gift to present the Christ Child at Christmas Eve Services. As Pepita walked slowly to the chapel with her cousin Pedro, her heart was filled with sadness rather than joy. “I am sure, Pepita, that even the most humble gift, if given in love, will be acceptable in His eyes,” said Pedro consolingly. Not knowing what else to do, Pepita knelt by the roadside and gathered a handful of common weeds, fashioning them into a small bouquet. Looking at the scraggly bunch of weeds, she felt more saddened and embarrassed than ever by the humbleness of her offering. She fought back a tear as she entered the small village chapel. 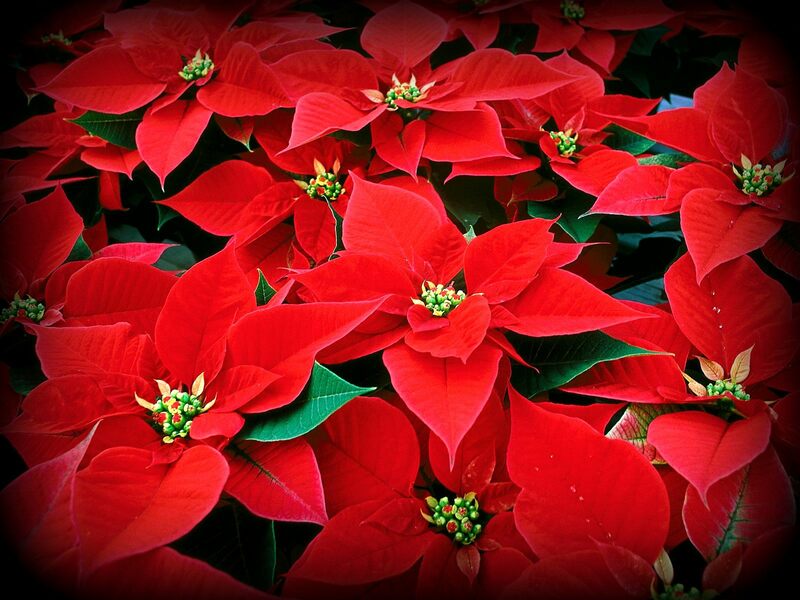 Flores de Noche Buena – Flowers of the Holy Night. Now they are called poinsettias.